Mickey Rourke (The Wrestler, Sin City) and Don Johnson (A Boy and His Dog, TV's Miami Vice) star in this genre collision of biker movie, heist thriller and buddy flick that will take you to the hardline of action and adventure! 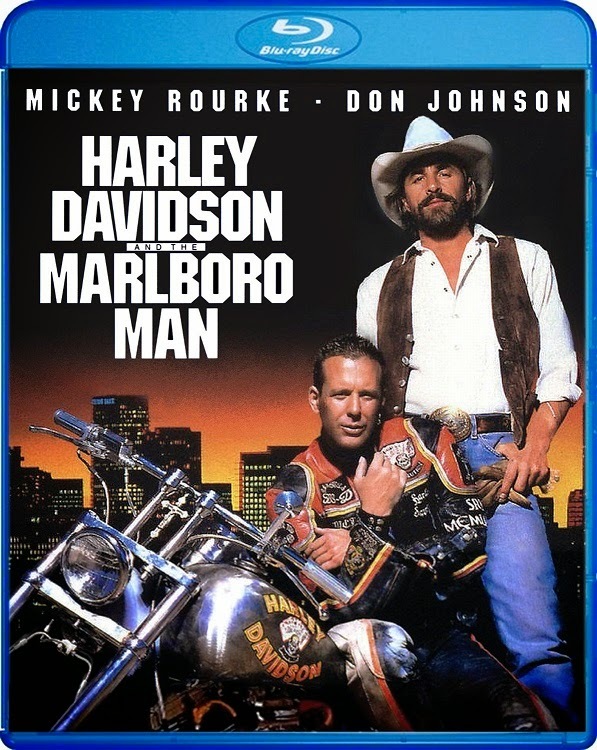 When their favorite bar is threatened with closure, outlaw biker Harley (Rourke) and modern-day cowboy Marlboro (Johnson) hatch a scheme to save the day – by robbing the corrupt bank behind the bar's shutdown! When the robbery yields not money but a shipment of drugs, Harley and Marlboro find themselves on the run from the bank's sinister president (Tom Sizemore) and a posse of seemingly unstoppable hit men. Now wanted dead or alive, the hard-riding heroes must fight for their very lives… and learn that when the going gets tough, the tough take the law into their own hands. Mickey Rourke (The Wrestler, Sin City) and Don Johnson (A Boy and His Dog, TV's Miami Vice) star in this genre collision of biker movie, heist thriller and buddy flick that will take you to the hardline of action and adventure! Co-starring Tom Sizemore (Natural Born Killers), Chelsea Field (The Last Boy Scout), Tia Carrere (True Lies) and Vanessa Williams (Shaft), this relentlessly explosive actioner just may prove that "it's better to be dead and cool than alive and uncool."